AN ASTONISHING 60% OF PEOPLE WHO WATCH THIS SHORT VIDEO WILL SIGN UP! CLICK HERE FOR MORE INFO ON EARNING AN UNLIMITED INCOME! For the thinking people who have looked at the evidence, there has long been no doubt that the twin towers collapsed not from jet fuel as the official government lie wants you to believe. The world trade centers were taken down by internal explosives. It was a professional demolition. That’s not a theory, THAT IS A PROVABLE FACT! As a matter of fact, it can be proven mathematically. It can be proven via physics. To disagree is like saying that 2+2 doesn’t equal four. For those who have known the truth all along, we are simply proving what you already know by using mathematical equations. For those of you who doubt 9/11 was an inside job, we can prove using numbers and simple physics, that once again the government lied to you. 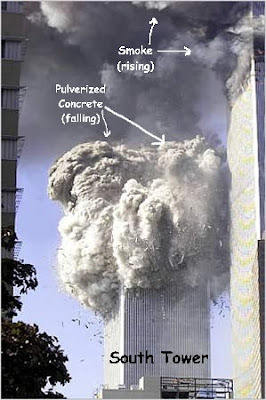 The twin towers collapsing because of jet fuel is not just unlikely…...IT IS IMPOSSIBLE! 9/11 Research: Robert Podolski (Physicist, Engineer) – Doesn’t Believe the NIST “Collapse by fire Theory”....As a matter of fact, he says it’s mathematically impossible! 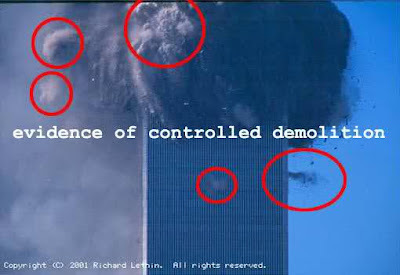 MIT physicist/engineer Jeff King gives his thorough analysis of the WTC collapses on 9/11 and concludes that explosive controlled demolition is the only scientifically explainable hypothesis. On September 11, 2001, most of the world watched in horror as the Twin Towers of the World Trade Center (WTC) “collapsed”. People did not have to be tuned in at the time in order to have seen it; it was repeated on television for days. Well, first of all, the American people saw things not with their own eyes but on television, which is comprised nowadays of digital information, which can be manipulated by computers. So, right off the top, Gates’ premise is flawed. And while the towers are gone, people have, both with their own eyes and on TV, seen magic performed before; eyes can be deceived. So let’s just examine his other premise: whether or not it is true that people know what they saw. The government and the media told us what we saw. The government told us that we had witnessed a “gravitational collapse”; what is now referred to as a “pancake collapse”. According to the government’s, and PBS’s, and Popular Mechanics’, and Scientific American’s theory, airplane crashes and subsequent kerosene (like lamp oil; jet fuel is NOT exotic) fires heated UL-certified structural steel to the point where it was significantly weakened, which is already very difficult to believe, nevermind repeat in an experiment. According to their “pancake theory”, this imagined purported (all the evidence was subsequently illegally destroyed) weakening supposedly caused part of the tower to collapse downward onto the rest of the tower, which, we’ve been repeatedly told, somehow resulted in a chain reaction of lower floors, sequentially, one at a time, yielding to and becoming incorporated into a growing stack of floors falling from above. There are some problems with that theory; it does not fit the observed facts: It cannot account for the total failure of the immense core columns, nor the ‘disappearance’ of that so-called “growing stack”, nor the too-rapid-to-blame-it-all-on-gravity ‘collapse’ times, nor the huge energy surplus, nor the nanosizes of the ‘dust’ particles. This article focuses on the third of these mentioned discrepancies, and just scratches the surface of the fourth. The scientists who’ve concocted the popularized “pancake theory” made a fatal error: they forgot to check their work! Which is an easy thing to do, even without any physical evidence to forensically examine. Anyone, at any time, can check the work of the scientists that incredible pancake theory of theirs using simple, high-school physics! And that’s what we’re about to do here. We’re going to check the work something every grade-schooler is taught to do of those “scientists”. Of course, people didn’t figure this stuff out immediately. According to legend, Galileo Galilei used the leaning tower of Pisa to demonstrate that a large ball and a small one (of lesser mass) fell (accelerated) at the same rate. Prior to Galileo, people had just assumed that heavier objects fell faster (much the way mankind had long assumed that the Earth was flat!). So while an object of greater mass will exert more force upon anything which is supporting it against gravity’s pull (ie, it’s heavier), it does not experience any greater acceleration when gravity’s pull is not opposed (ie, when it’s falling). Earth’s gravity can only accelerate objects downward at one known, constant, maximum rate (1 g). Heavier objects are not accelerated any quicker than are lighter objects, as Galileo demonstrated centuries ago. From experimentation, it has been discovered that, near the surface of the earth, earth’s gravity will produce a downward acceleration of 32 feet per second per second. Further, since gravity’s acceleration is constant, and it’s falling at 32 ft/sec after one second has elapsed, we know that it has averaged 16 ft/sec for the entire distance, which, after one second, is 16 feet. So after 3 seconds, in Earth’s gravity, an object will have fallen 144 feet and will be falling at 96 ft/sec. OK, we’ve just solved a simple physics problem! Now let’s check our work, using conservation of energy. We know that energy is neither created nor destroyed. It merely changes forms. If we take the potential (chemical) energy in a barrel of oil and burn it, we get heat energy. When we take refined oil and burn it in our car’s engine, we get kinetic (ie, motion) energy (plus some heat; an engine’s not 100% efficient). When we use our car’s brakes to bleed off some of that kinetic energy (ie, slow down), the energy is converted into heat (the brakes get HOT). In the case of the free-falling body, the two kinds of energy we are concerned with are kinetic energy and potential energy. Examples of potential (gravitational) energy are the water stored way up high in a water tower, or a boulder perched atop a hill. If whatever is holding them up there is removed, they will come down, under the influence of gravity’s pull. So, all of the available potential energy was converted to kinetic energy. Seeing that energy was, in fact, conserved is how we know that the answer in The Simplest Case, above, was correct. We’ve checked our work, using an independent analysis, based upon the sound principle of conservation of energy. Now, and only now, we can be certain that our answer was correct. That’s how parachutes work: much of the falling object’s potential energy gets expended doing the work of pushing a lot of air out of the way in order for the object to fall. As a result, not all of the potential gravitational energy can go towards accelerating the object downward at gravity’s maximal rate of 32 ft/sec/sec. In other words, only when there is zero resistance can any falling object’s potential energy be completely converted into kinetic energy. Anything which interferes with any falling object’s downward progress will cause its acceleration to be reduced from the maximum gravitational acceleration of 32 feet per second per second, as some of gravity’s potential energy is consumed doing work overcoming resistance. That’s why you may have heard the term “terminal velocity”. The free-fall equations predict that a falling object’s velocity will continue to increase, without limit. But in air, once a falling object reaches a certain speed, its propensity to fall will be matched by air’s resistance to the fall. At that point the object will continue to fall, but its speed will no longer increase over time. Earth’s gravity causes objects to fall. They fall according to precise, well-known equations. The equations assume no (air) resistance. Any resistance at all will cause the object to fall less rapidly than it would have without that resistance. There is a maximum possible rate at which objects fall, and if any of gravity’s potential energy is consumed doing anything other than accelerate the object downward even just having to push air out of the way there will be less energy available to accelerate the object downward, and so that object’s downward acceleration will be diminished. And if an object’s downward acceleration is diminished, it will be going slower along the way, and thus it will take longer to fall a given distance. The towers were 1350 and 1360 feet tall. So let’s start by using our trusty free-fall equation to see how long it should take an object to free-fall from the towers’ former height. 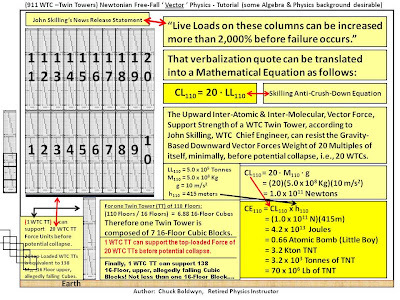 So our equation tells us that it will take 9.2 seconds to free-fall to the ground from the towers’ former height. Using our simpler equation, V = GT, we can see that at 9.2 seconds, in order to reach the ground in 9.2 seconds, the free-falling object’s velocity must be about 295 ft/sec, which is just over 200 mph. Therefore, air resistance alone will make it take longer than 10 seconds for gravity to pull an object to the ground from the towers’ former height. But as we’ve just determined, that’s free-fall time. That’s close to the free-fall time in a vacuum, and an exceptionally rapid free-fall time through air. But the “collapse” proceeded “through” the lower stories of the tower. 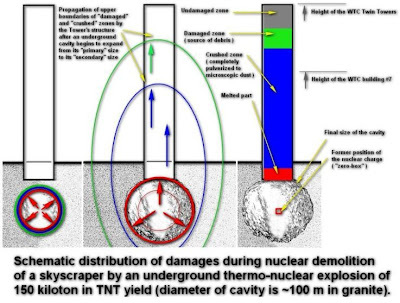 Those undamaged floors below the impact zone would have offered resistance that is thousands of times greater than air. Recall that those lower stories had successfully supported the mass of the tower for 30 years. You can move your arms and legs, non-destructively, through water a liquid fluid but not anywhere near as rapidly as you can through air. You certainly can’t move your arms and legs through solids as rapidly as you can through air. And neither can gravity. BOTTOM LINE: WE HAVE DEMONSTRATED BY MATHEMATICS AND PHYSICS THAT IT IS IMPOSSIBLE FOR THE TWIN TOWERS TO HAVE COMPLETELY COLLAPSED WITHOUT INTERNAL EXPLOSIVES!!! Because, as you may recall, not only was much energy expended in causing the observed massive high-speed sideways and even upward ejections, but virtually all the glass and concrete was pulverized, actually disintegrated is a much better word. (Never mind what happened to all the supporting steel core columns…!!!) And the energy requirements to do anything even remotely like that rival the total amount of potential energy that the entire tower had to give. So while gravity is nearly strong enough to cause some things to fall that far, through air, in the observed interval, and while gravity is probably not strong enough to have so thoroughly disintegrated the towers under their own weight, gravity is certainly not strong enough to have done both at once. 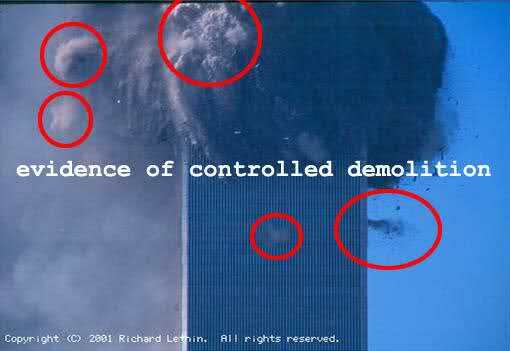 However, none of these physics-violating conditions can be accounted for by the official government conspiracy theory of 9/11, nor by any of the subsequent analysis designed to prop up the official theory of 9/11. Bottom line: the government/PBS/PM/SA explanation for the WTC “collapses” fails the most basic conservation-of-energy reality check. Therefore the government/PBS/PM/SA theory does not fit the observed facts; the notion of a “pancake collapse” cannot account for what happened. The “pancake collapse theory” explanation is impossible, and thus absurd. It is utterly impossible for a “gravitational collapse” to proceed so destructively through a path of such great resistance in anywhere near free-fall times. 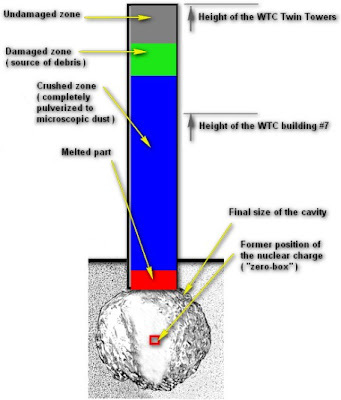 This fact debunks the preposterous contention that the observed WTC “collapses” can be blamed solely upon damages resulting from aerial assaults: the unnaturally-brief durations of the highly destructive top-down “collapses” reveal that the towers did not disintegrate because they were coming down, but rather they came down because something [else] was causing them to disintegrate. So, to the extent that people accept the ridiculous “pancake collapse” explanation, Gates’ other premise, that people know what they saw, is also incorrect. It is left to the reader to decide if his conclusion, which was based upon two incorrect presumptions, is also flawed. 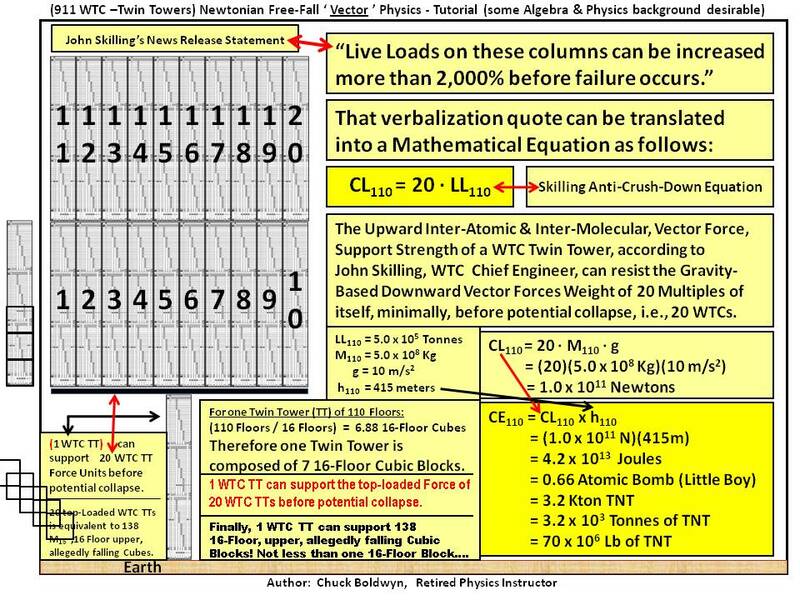 The purported “gravitational collapse” (video) of World Trade Center building 7, which was hit by zero aircraft, and which also vertically collapsed in within a second of free-fall-time-in-a-vacuum later that same day, similarly fails this same conservation-of-energy analysis. The explanation for how and why so many highly-accredited and credentialed people all so miserably failed to check the “pancake collapse” theory, by giving it this basic reality check, is beyond the scope of this simple physics discussion. “The structural analysis carried out by the firm of Worthington, Skilling, Helle & Jackson is the most complete and detailed of any ever made for any building structure. The preliminary calculations alone cover 1, 200 pages and involve over 100 detailed drawings… The building as designed is sixteen times stiffer than a conventional structure. The design concept is so sound that the structural engineer has been able to be ultra-conservative in his design without adversely affecting the economics of the structure. In July of 1971, the American Society of Civil Engineers (ASCE) presented a national award judging the WTC Towers to be “the engineering project that demonstrates the greatest engineering skills and represents the greatest contribution to engineering progress and mankind. Like many modern structures and buildings, the WTC Towers were over-designed to withstand weight distribution in the event of structural damage. 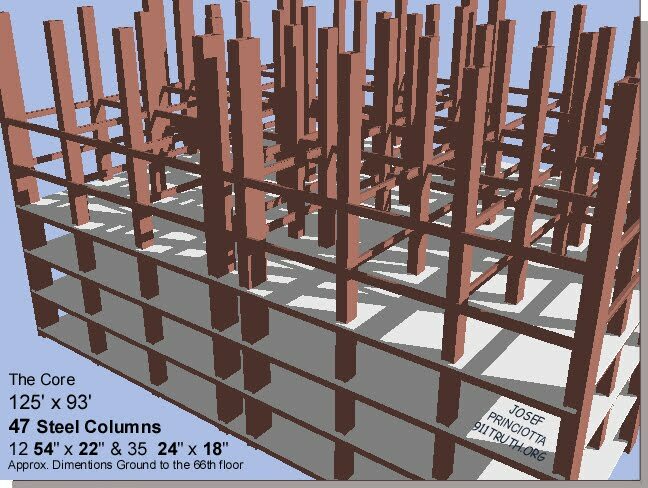 According to calculations made by the engineers who helped with the design of the Twin Towers, “all the columns on one side of a Tower could be cut, as well as the two corners and some of the columns on each adjacent side, and the building would still be strong enough to withstand a 100-mile-per-hour wind. As well, “Live loads on these columns can be increased more than 2,000% before failure occurs. The lack of access to WTC building documents remains a problem to this day. Indeed, in March of 2007, Steven Jones and Scholars for 9/11 Truth and Justice finally obtained the WTC blueprints from an anonymous individual. Demartini appeared to be so confident that the towers would not collapse that he stayed behind to help save at least 50 people. As a result of his actions, he lost his life on 9/11. In summary, the World Trade Center designers not only contemplated jet fuel fires but they considered the plane crashes that would have caused them. They anticipated impact speeds of 600 mph as well as aircraft similar in size to the planes used on 9/11. The towers were designed to survive substantial column loss along with 100 mph winds. They were intended to survive bombings, earthquakes, and hurricanes. If the designers were sufficiently competent in the planning and realization of their award-winning WTC Towers as intended, they should have remained standing. Tragically, they did not. From this irreconcilable fact there can only be one conclusion; There is an alternate explanation for their destruction on 9/11. Not only had many witnesses claimed to have seen molten metal, FEMA had performed an analysis of it. 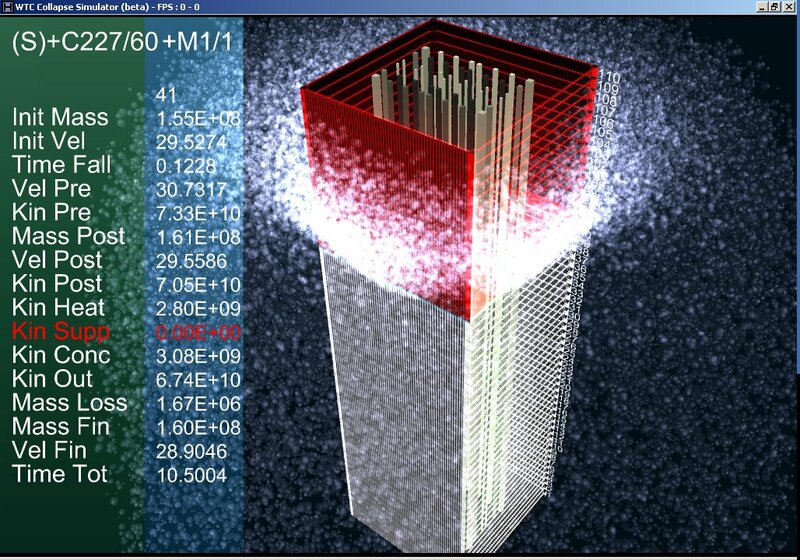 Their observations were recorded in Appendix C of their WTC Building Performance Study. Ironically, Robertson stated that he was not aware if anyone had performed an analysis on the molten steel in an interview with Jones who had also performed an analysis of previously molten metal samples from Ground zero. Jones’ findings appear to be corroborated by the FEMA report which described “a phenomenon never before observed in building fires: eutectic reactions, which caused ‘intergranular melting capable of turning a solid steel girder into Swiss cheese.’”[The New York Times described this as “perhaps the deepest mystery uncovered in the investigation.” NIST did not even mention the presence of molten steel and called it “irrelevant to the investigation.”Amazingly, NIST’s 10 000 page, $20 million report couldn’t find the space to mention the earlier findings about the molten steel analyzed in the FEMA report. There have even been reports of evaporated steel. The presence of molten steel would be very surprising because jet fuel fires are incapable of melting steel. In fact, NIST reported that the highest recorded temperatures of the jet fuel fires from the WTC were not even enough to weaken the steel. If the official story is true, then companies that offer complex controlled demolitions using explosives are clearly going to be out of business. Thanks to those wily hijackers we now have a much cheaper solution. If a structural steel high-rise needs to be removed, all that is necessary is to pick a floor somewhere in the upper portion of the building, saw off a few columns, flood the floor with jet fuel, light a match and stand back. The building will then (about 1 or 2 hours later) miraculously crush itself, shredding the steel into tidy 12-30 ft sections. The rest of the building will be conveniently converted into a fine dust that will be spread over a large area so somebody else will have to clean it up! It is demonstrable that the WTC building designers claimed that the Twin Towers would survive an event similar to 9/11. 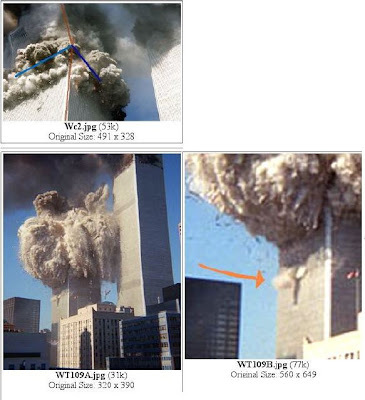 Either the WTC building designers were tragically wrong in their calculations and designs, or there is another explanation for the destruction of the WTC Towers. After 9/11, WTC building designer Leslie Robertson has made claims that are contradicted by statements and documents from as many as 40 years ago. These contradictions must be resolved through the release of all of the pertinent WTC documents that have been withheld since 9/11. The significance of the Barry Jennings mystery is that his personal story as recounted on video leads to the conclusion that the destruction of the towers on 9/11 was planned. No cause of death has been made public, and the mainstream press has not even covered the death of this American hero. Nearly one year ago, on August 19, 2008, 53 year old Barry Jennings died, two days before the release of the NIST Final Report on the collapse of WTC7. Jennings was Deputy Director of Emergency Services Department for the New York City Housing Authority. On September 11th, 2001, he saw and heard explosions BEFORE the Twin Towers fell, while attempting to evacuate the WTC 7 Command Center with NYC Corporation Counsel Michael Hess. Jennings publicly shared his experiences with a reporter on the day of 9/11/01, as well as in a lengthy 2007 video interview with Dylan Avery, a small clip of which was then released; subsequently his job was threatened and he asked that the taped interview not be included in Loose Change Final Cut.. However, after an interview with Jennings was broadcast by the BBC in their program The Third Tower ostensibly refuting what he had previously stated to Avery, Avery felt compelled to release the full original video interview to show the distortions made by the BBC. Several other individuals at the Housing Authority also confirmed that they knew Barry Jennings. No one has yet been able to contact anyone in the Jennings family and the official cause of death is not yet known. It is very unusual that a prominent – and controversial 9/11 witness would die only days before the release of NIST’s report on WTC7 and shortly after a firestorm erupted over his testimony that he heard explosions inside the building prior to collapse of either tower and that there were dead bodies in the buildings blown-out lobby. “Loose Change” director, and narrator Dylan Avery had recently begun investigating the death of Barry Jennings, and had found some new information relating to his death. It seems that there is a very good possibility that Jennings’ death could have been due to foul play. Though the investigations are on going, initial findings are somewhat alarming. The conclusion is still forthcoming, but I was shocked by what I heard. It seems that Dylan had hired a private investigator to look into Jennings death which remains shrouded in mystery. His motive was simply to bring some closure to the life of Barry Jennings, and in doing so to honor the memory of this brave American. The Investigator ended up referring the case to Law enforcement before refunding his pay, and told Dylan never to contact him again. Very unusual to say the least. Dylan also paid a visit to the Jennings home. He found it vacant and for sale. Personally, something is really beginning to stink here. Why would a highly paid PI refuse to continue his investigation? Why did he refer the matter to police? He is not talking. What is he afraid of. Was he warned to cease and desist? If so by whom? The cause of Jennings’ death has not been made public, and a private investigator hired by Avery to discover the cause and circumstances surrounding his death refused to proceed with his investigation. 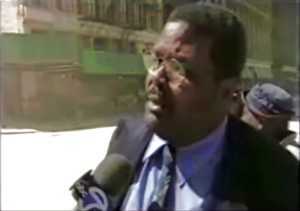 In spite of the significance of Jennings’ position with NYC on 9/11 and his controversial eyewitness testimony regarding the collapse of WTC7, the media has not investigated or reported on his death, nor reported on his statements. 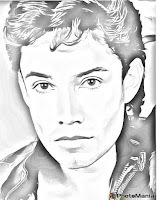 But you can listen to it (BELOW). Did you find our site useful? Thank you for reading our free online articles? We want to say thank you!!! If we have been helpful, you can make donations to this site here to show your support. THE CONSPIRACY ZONE is completely run on a voluntary basis. Your generous donation can certainly make a difference so we can continue to get the truth out. Even without this knowledge of physics, which I admit is way over my head, it just seems totally stupid that something could crash into a building that high up, and cause it to collaps. One would tend to think the building would explode outward if anything. 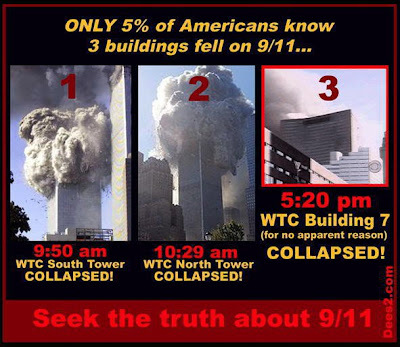 Seems as if it would have all been much more believable, if the planes had of flown in at a much lower level and that would most likely cause the buildings to crash over. 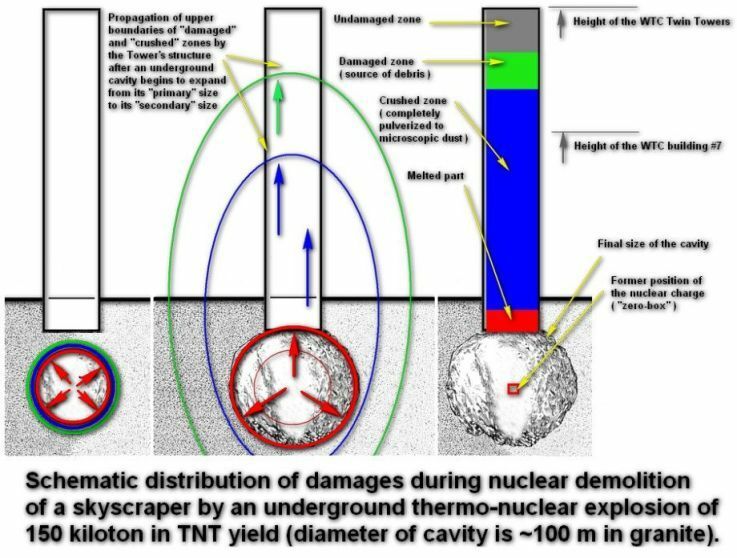 The Physics Profession should have been all over this in 2002 because of the very short time in which the towers came down. But when have you heard a physicist discuss applying the Conservation of Momentum to the collapse of the towers. The Empire State Building is 80 years old. It is not 43 years after the Moon landing. This ain't Rocket Science. All of the high school physics teachers should be fired. The college physics professors should be shot. http://www.youtube.com/watch?v=ZT4BXIpdIdo This is not about conspiracies. This is about PHYSICS! Israel, Mossad, dancing Israelis, Ehud Barak, in America speech ready as people dropping out of towers, Harley guy in street with speech on "structural failure". This operation has Israeli Mossad all over it. See video on Youtube (why the military knows Israel did 9/11) by Doctor Alan Sabrosky. What has always made me wonder and still seems to be too miraculous to be without suspicion is that will all the thousands of employees at both towers, not more people were killed that day. It's as if some companies specifically were told not to be there that day. The other thing is whether there is an actual count of the number of employees who were there and escaped the tragedy? In all of the commotion, it seems that not that many people were running out of the buildings. It seems that all the companies in the two towers had over 10,000 employees in each tower. To lose only 3000 seems strange. Most employees would have been in their offices between 8:00 and 8:30 AM. Where were they and where did they all go? And why weren't they at work unless they were asked not be in attendance? Did they interview all the companies that didn't lose any employees on that day? Only in America could an impossible explanation like the official 9-11 report be sold as real: 9-11 was a Cheney, Rumsfeld, Silverstein production, featuring the Mossad, et al. Americans are so physics and math challenged, this was a duck soup con .. and the foxes in the hen house controlled all of the info ... brilliant. I'm suprised that THEY didn't come out a few days later and say something like "Ivestigation reveales - Terrorists compromised twin towers and planted explosives at base support structure to ensure destruction of Twin Towers." That would have made it a little more believable. My observation from day one was, why didn't the buildings fall over. One would thing that "terrorists" would go for maximum destruction. There are tons of facts around the internet that prove what you are stating here, and in my opinion stories like these about 9/11 should not be even considered as conspiracy because the 9/11 report challenges not only the mathematics, it also challenges the knowledge and experience of almost every construction and demolition experts on the planet. A LOT of work was put into this, and it shows. I am a truther, so I have been convinced for a while, but this has given me a way to simply explain it to others in a manner that is UNDENIABLE. Thank you. WHAT REALLY HAPPENED TO DR. MARTIN LUTHER KING AND BOBBY KENNEDY?